Frankfurt is defined as the economic capital of Germany. This city, known as Frankfurt am Main, is located in the German state of Hessen. With its population of about 700, 000 people, the city is the largest settlement in this German region. For Germany, Frankfurt is the fifth largest city, surpassed only by Berlin, Hamburg, Munich and Cologne. 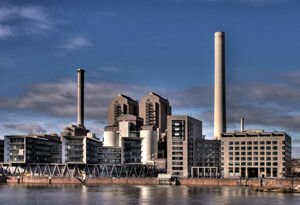 This financial and transportation center of Germany covers an area of 248 sq km around the river Main. This is undoubtedly a modern, vibrant and colorful city. 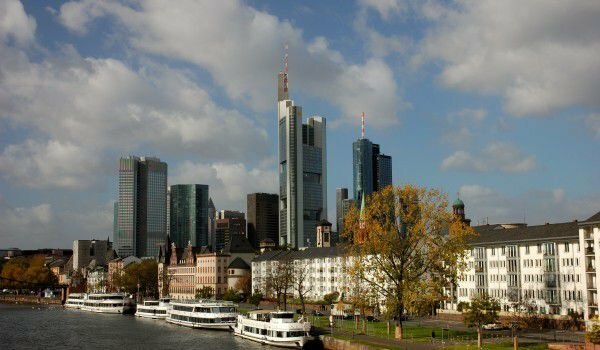 As one of the leading financial centers in Europe, in Frankfurt are the seats of the European Central Bank and the Frankfurt foreign bank. According to the results from the renowned University of Liverpool, Frankfurt is the richest city in the European Union. As such there is no way its urbanization is poor - in Frankfurt are many of the tallest buildings in continental Europe. The many skyscrapers, concentrated in central Frankfurt earned it the nickname Manhattan, making a connection with the modern namesake neighborhood of New York. According to statistics as of August 2009, Frankfurt has 21 buildings with a height of 100 meters, in the planning process are another 7. Most of them are office buildings, mostly plants of banks and insurance companies. Among other prominent skyscrapers is the headquarters of "Commerzbank" - "Commerzbank Tower", which is the tallest building here. Since the Middle Ages Frankfurt has emerged as one of the major commercial centers in Europe. Today in the city more than 300 banks have headquarters and the fourth largest in the world Stock Exchange is here too. The airport Frankfurt Rhine-Main is the third largest passenger (after Heathrow and Charles de Gaulle) and the largest cargo airport in the European Union. Data for the settlement of the area of today's Frankfurt exists since 3000 BC, but the first written evidence of the town dates from February 22, 794. In 843, Frankfurt is the most important city in the kingdom of the eastern Franks. In 1222, Frankfurt became a free imperial city, but by 1562 the emperor was crowned here. Information for this historic German city continues with the announcement of its status as a free city and seat of the federal government in 1815. In 1871 there was signed contract, which ends the Franco-Prussian War. The beginning of the stock market in Frankfurt and the construction of its building was in 1879 and three years later, in 1880 the beautiful building of the old opera was erected. It was built thanks to donations, but was completely destroyed during World War II. In 1981, its unique façade is perfectly restored. This is one of the places in Frankfurt, where the contrast between the new and modern is pronounced - against the opera rise a few skyscrapers. The University of Frankfurt appeared in 1914, the airport Frankfurt Rhine-Main was built in 1926. Cultural life in Frankfurt is shaped by many attractions, museums and the city is not missing nightlife either. A tourist tour in Frankfurt can go from the old center, known as Römer. Here you can see pretty buildings, built in typical German style. Among them ranks the Mayoral building of Frankfurt, whose building dates from 1405. Opposite the town hall is located the beautiful Cathedral St. Bartholomäus, in which between 1562 and 1792 were officially crowned the rulers of the Holy Roman Empire. Quite near the old center of Frankfurt is located the famous church Paulskirche, in which in 1848 was called the first German National Assembly. Be sure to visit the Botanical Garden in Frankfurt and the zoo, which is the second oldest after the one in the capital Berlin.